In many ways, ‘Heathers,’ should maybe be the last film we look at in the ‘Summer of Sin’ series. It is a final statement on the teenage films of the 1980s. It’s cast were the stars of the 1990s teen movies. They even try to blow up the high school for heaven’s sake. Nothing says ‘end of a genre,’ like the destruction of the main, imposing setting for so many of these films. 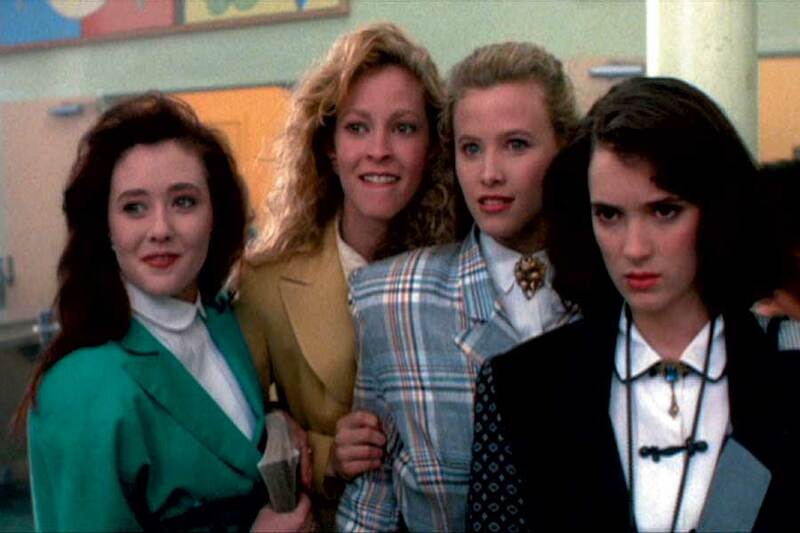 ‘Heathers,’ was originally intended for Stanley Kubrick to direct. At least, that’s what writer Daniel Waters was hoping for. He had written a three hour film that he intended to be the last word on teen movies. Sadly, Kubrick wasn’t returning phone calls and Michael Lehmann, (‘Mean Girls,’) ended up taking on the project. After living a high school life of quiet desperation, Veronica meets the new kid in school, J.D.. After a few flirtatious moments, the two are quickly dating. After one of the Heathers talks down to her at a fraternity party, Veronica and J.D. plot their revenge. Going to her house the next morning, they jokingly prepare a hangover helper made up of mostly drain cleaner. They then prepare the actual drink they’re going to give her, made up of orange juice and milk. However, J.D. distracts Veronica, switches the drinks, and Heather ends up dead, falling through a glass coffee table. It’s off to the races after this. J.D. systematically begins taking out the people in school he doesn’t like, riding the world of people who won’t grow up to be productive members of society. The two jocks are killed and arranged to look like they took part in a gay suicide pact. Meanwhile, Veronica is trying to stop J.D.. She’s glad the annoying people are out of her life, but murder? It’s a little extreme. Given the uniqueness of the material, it’s no surprise that the film found little to no audience in the theater. It was only after its release on video that people began to notice the movie.